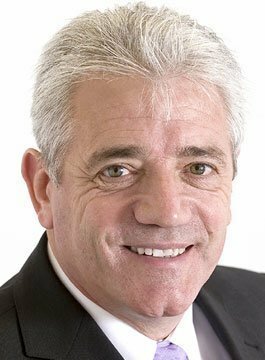 Kevin Keegan OBE is one of the most recognisable faces in British football. An illustrious playing career included time at Liverpool, Hamburg, Southampton and Newcastle as well as the national side, captaining England for six years until his international retirement after the 1982 World Cup. As a manager Kevin Keegan held the reins at Newcastle, Fulham, Manchester City and England. Born in Doncaster, Keegan began his football career in 1968 at Scunthorpe United, making his debut as a young seventeen year old. He moved to Liverpool in 1971 and went on to win three First Division titles, two UEFA Cups, the FA Cup and the European Cup during his six years at the club. From Liverpool, Kevin joined Hamburger SV and secured further honours, winning the Bundesliga title and reaching the European Cup final. Voted European Footballer of the Year in both 1978 and 1979, his return to UK football came at Southampton where he spent two seasons before joining Newcastle United of the Second Division, helping them gain promotion and finally retiring as a player in 1984. He was capped 63 times for England, scoring 21 international goals. After a break from the game, Kevin Keegan embarked on his managerial career, first in 1992 at Newcastle where he returned the club to the top-flight and narrowly missing out on the Premiership title, finishing second in the 1995-1996 season. He was appointed by Fulham in 1997 before accepting the England Manager’s job in 1999. Joining Manchester City in May 2001, he led the team to promotion that season as First Division Champions, becoming the first manager in the Premier League era to win the Football League title with two different clubs. Qualification for the UEFA Cup followed before Kevin stepped down in 2005. After a brief return to management with Newcastle, he now devotes his time to his business interests and media work. Kevin is available to present anecdotal after-dinner speeches and motivational keynote presentations.